Don't chance the safety of your employees or visitors in hazardous work sites or areas. 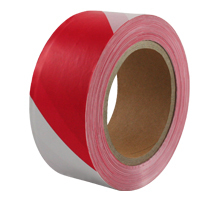 Highly visible internationally recognised coloured tape is manufactured from durable PVC material resistant to all the elements. Economical and functional, this non-adhesive tape provides ultimate solutions for safety, construction, painting, mining, hardware and law enforcement sites.